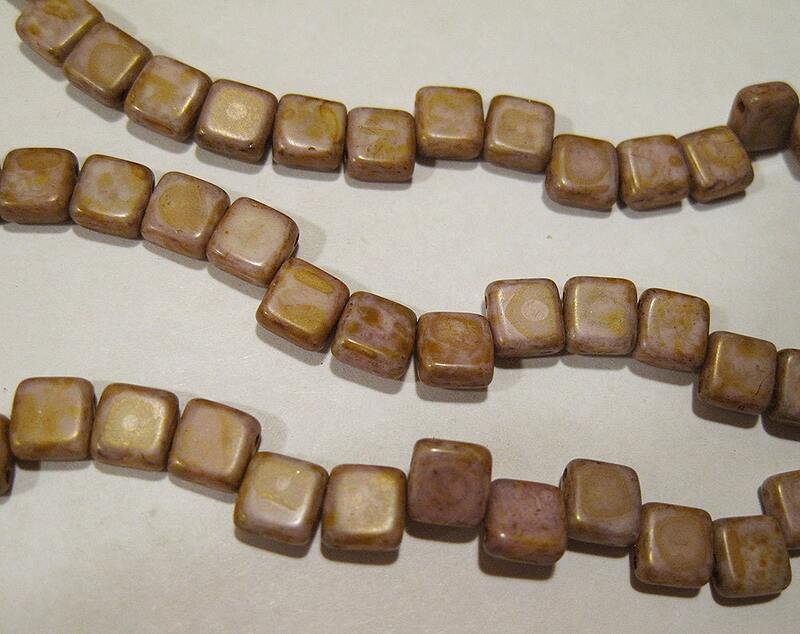 Chalk Lumi Brown two-hole tile beads, 6mm x 6mm. Made in Czech Republic. Approx 29 bead.